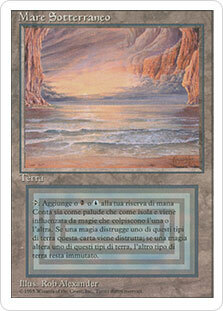 Card Text: ocT: Add either B or U to your mana pool. 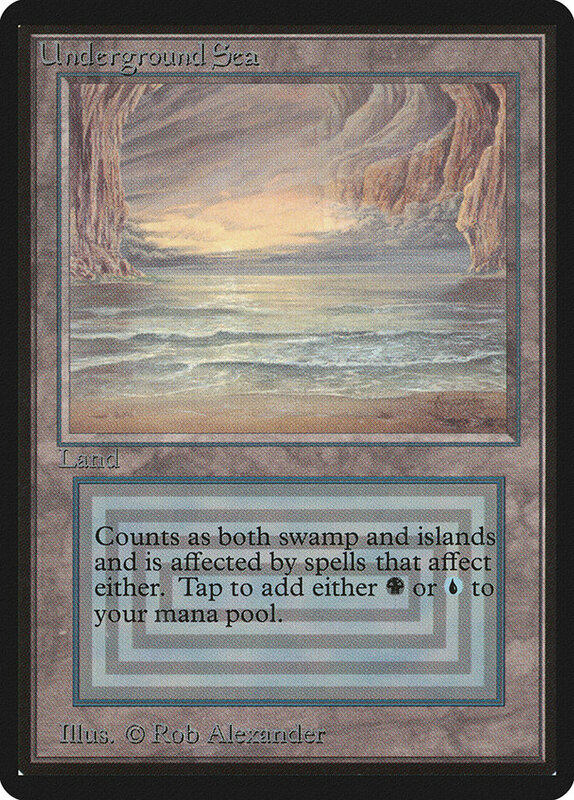 Counts as both swamp and islands and is affected by spells that affect either. If a spell destroys one of these land types, this card is destroyed; if a spell alters one of these land types, the other land type is unaffected. 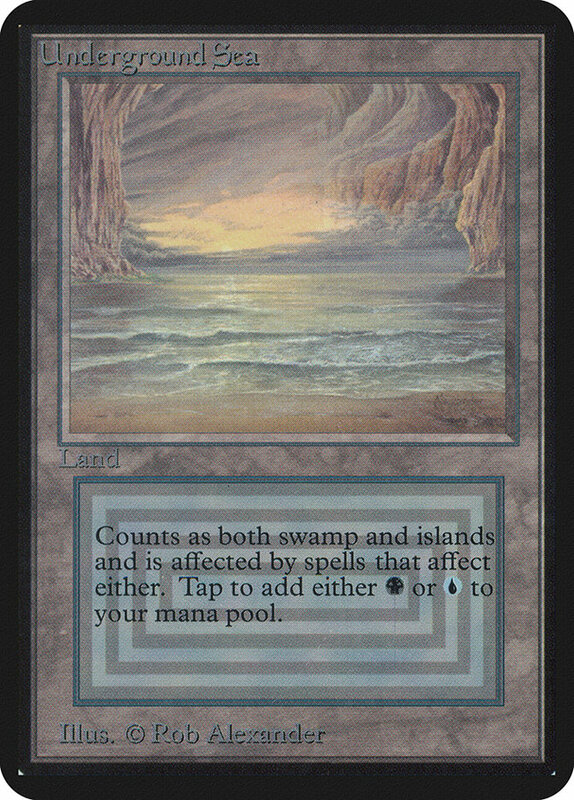 Card Text: Counts as both swamp and islands and is affected by spells that affect either. 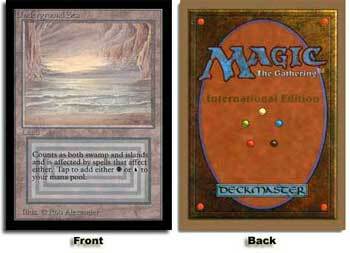 Tap to add either B or U to your mana pool. 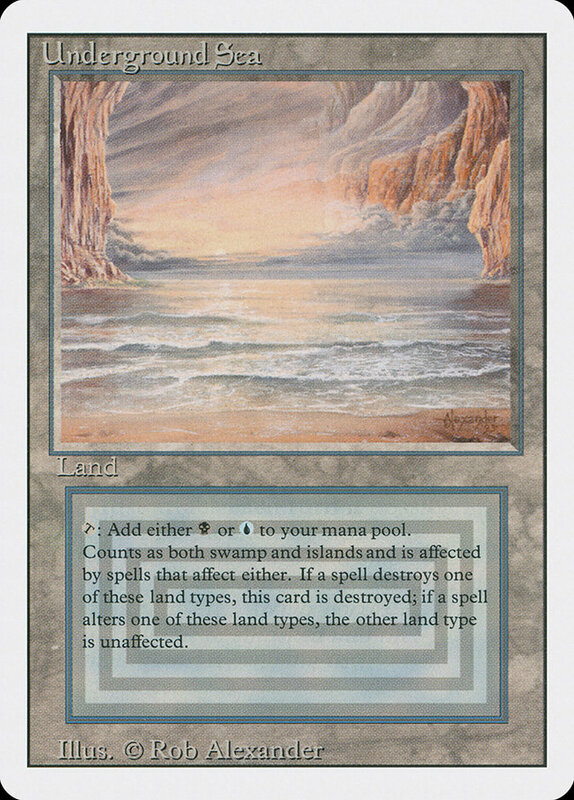 Card Text: T: Add either B or U to your mana pool.